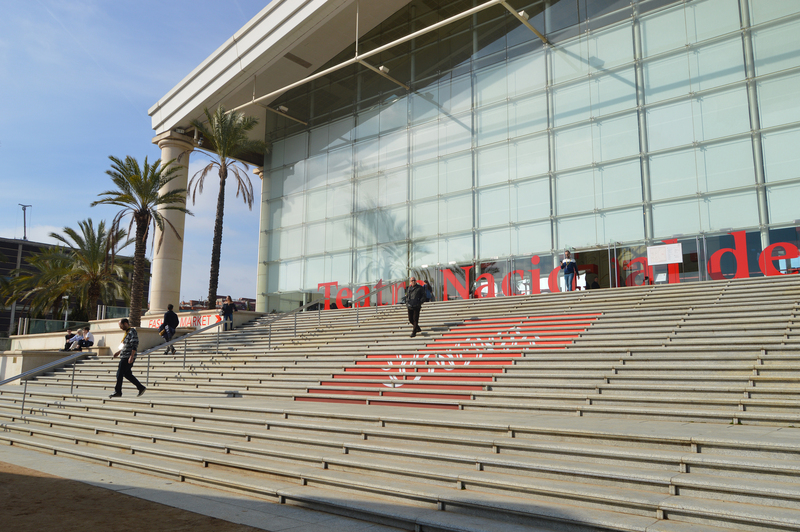 One more year the Barcelona 080 took place in the city of Barcelona, this time the location was The National Theatre of Catalonia, the perfect spot for a Fashion show. 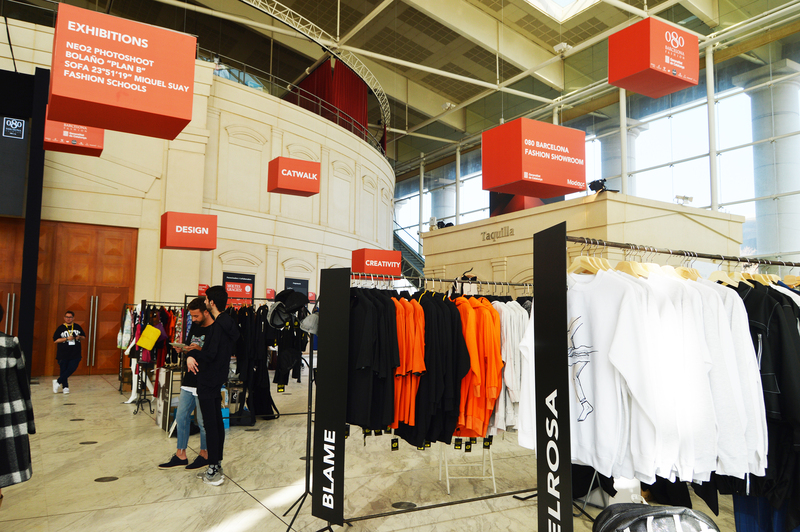 10 brands and 19 designers were presenting their new collections. 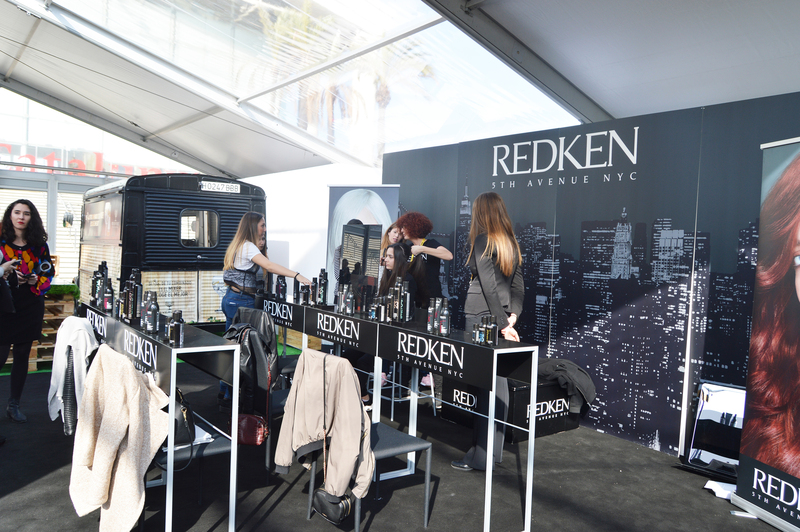 Besides the fashion shows, there was a fashion market with other brands that were not presenting in the catwalks, there was severals sponsors like Rowenta, Redken were professional hairdressers changed your hairstyle in situ. Beers were in charge of Moritz and Fever-Tree was offering gyn tonic with their new flavours. The main room was holding the showroom and the exposition Plan B by the designer Manuel Bolaño, which is a collection of the most mythical pieces of his atelier. There was also a photoshoot exhibition were the results of the NEO2 Photo Shoot Contest from last July edition were displayed. 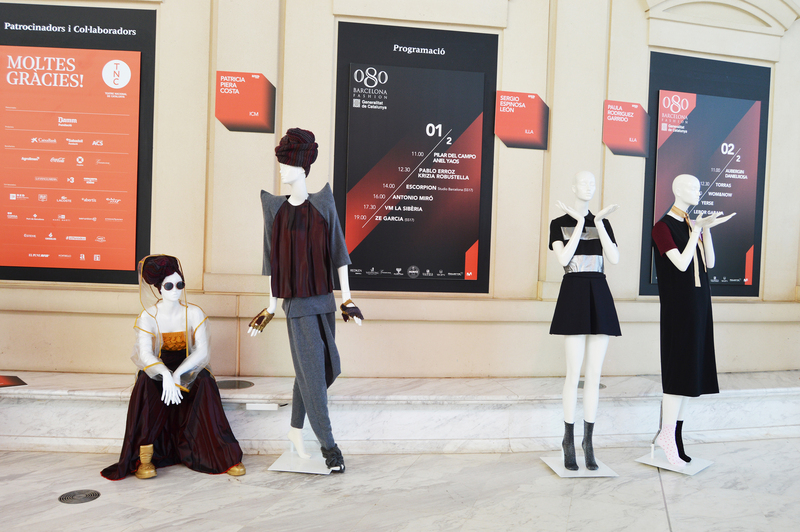 There were more than 10 fashion and design schools from Barcelona participating in the contest. The models were wearing designs from past edition’s designers. These were the open events were almost everyone could go, and there were mainly students, groups of young girls and fashion addicts. It was a good area for networking and make the most of your Instagram pics. 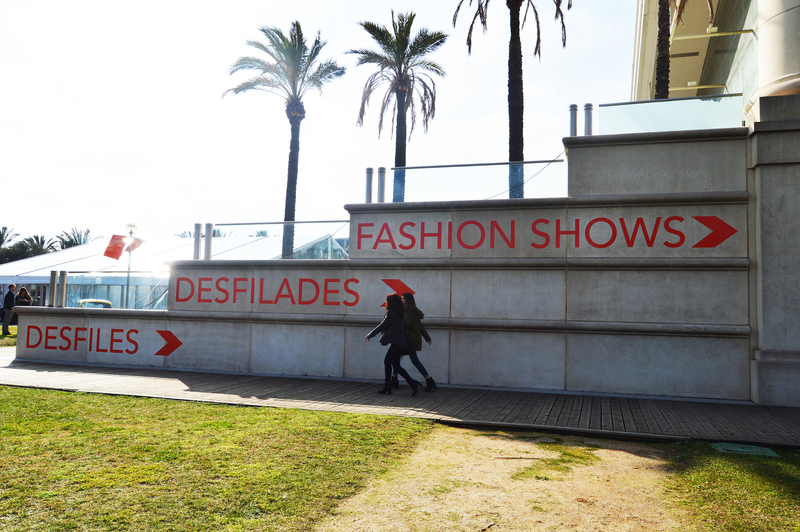 The area of the catwalks was outside the main building, the shows were taken place at the small rooms of the theatre. These rooms are made for concerts so the acoustic was perfect and the whole show was like a theatre play. 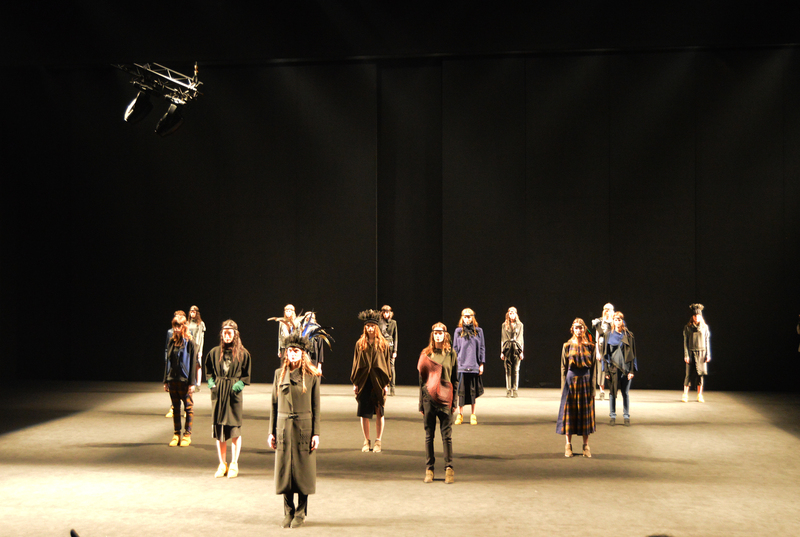 Txell Miras was one of my favourite shows, she presented a collection inspired in the Native Americans. The materials, the colours, the feathers in the models, reminded you to the clothing of the American tribes. She was using mainly wool and cotton. 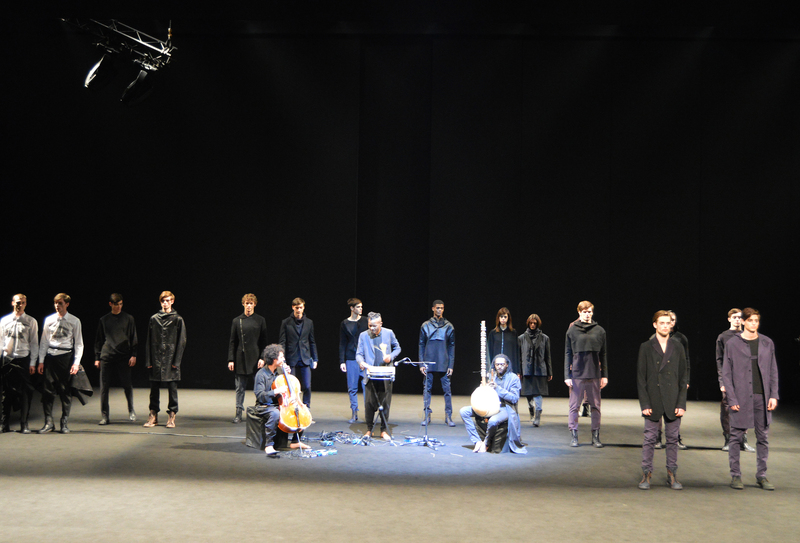 Josep Abril was also one of the shows that I’ve enjoyed the most, not just for the quality of his designs, but also for the live music he used to accompany the rhythm of the models while they were walking. It seems like the jazz musicians were also matching the color of the designs. It was mainly, purple, black and grey. One of the most original shows that I’ve attended was the one from Krizia Robustella. She presented a group of original zombies, wearing colourful outfits and walking at the rhythm of hip hop music. The week was over and I am already looking forward to be in the summer season! The winner of the edition was Daniel Rosa who created a perfect collection in blue and grey, using denim, wool and handmade tricot. The collection was inspired in the mountain and the cold landscapes. 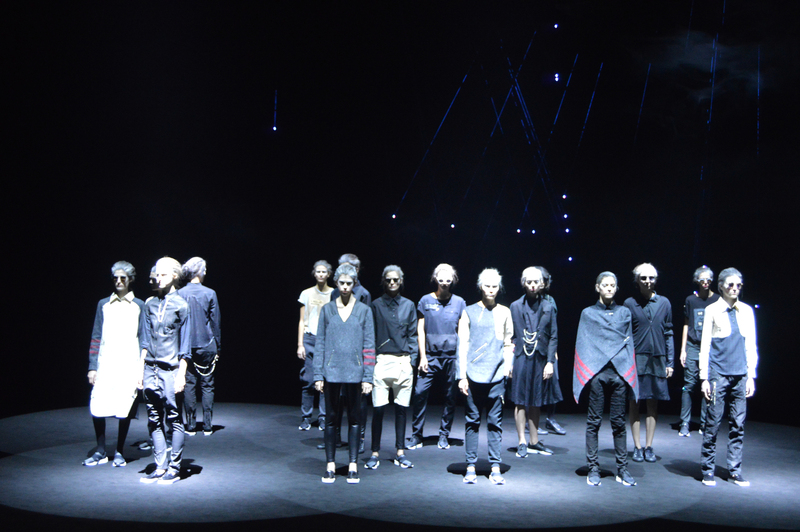 Also one of the best catwalks that I’ve attended this year. 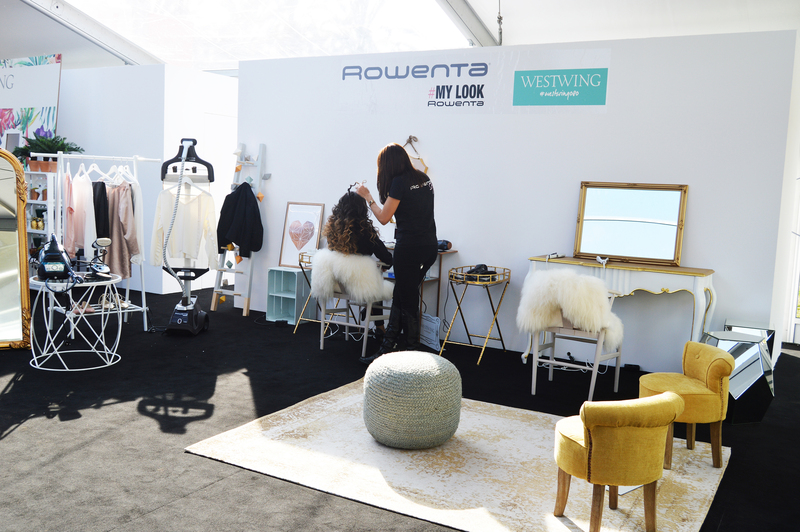 There were great designers and the event was impeccably settled. There were moments of photoshoots, Rosé and even some chats with the models and designers. 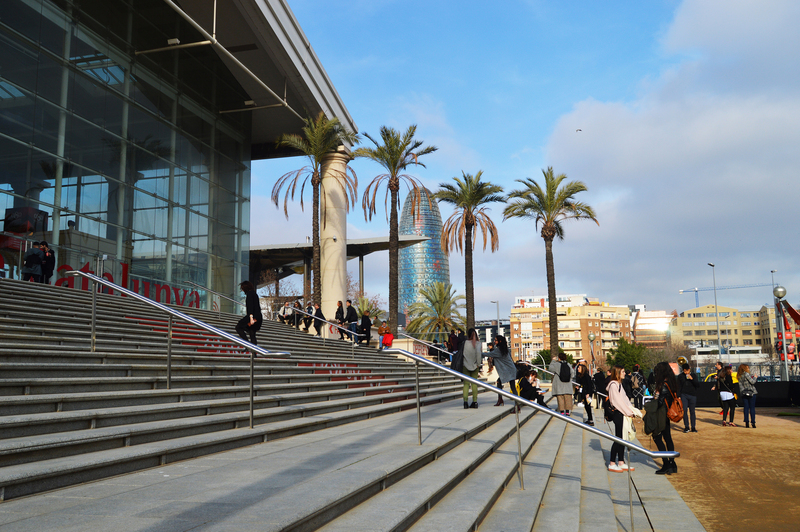 The whole atmosphere was natural and relax and the weather in the city was wonderful as usual! It was a week definitely full of fashion, have a good beginning of this one!